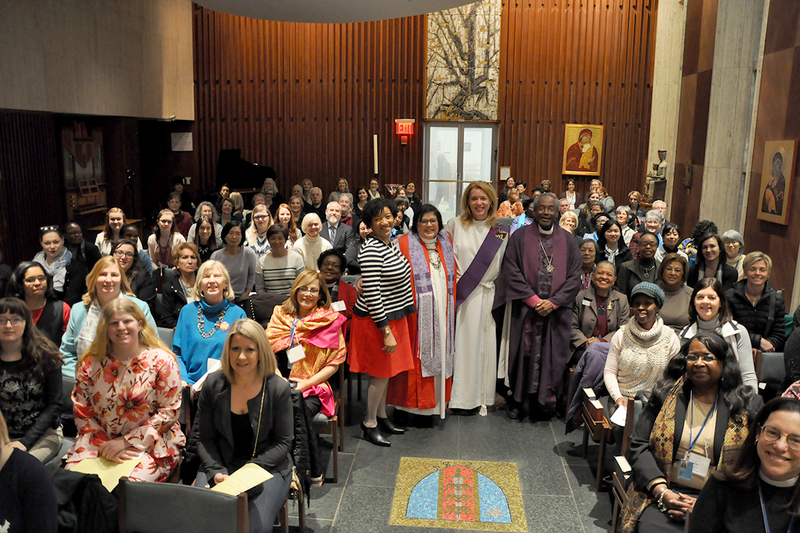 [Episcopal News Service] The Episcopal and Anglican women attending the 62nd session of the United Nations Commission on the Status of Women have some gospel work to do. That was Presiding Bishop Michael Curry’s message to a packed Eucharist on March 12 in the Chapel of Christ the Lord at the Episcopal Church Center in New York, a few blocks from the UN. The service, held on the opening day of the session that lasts until March 23, was celebrated in thanksgiving for the gathering of women who have come from all over the world. 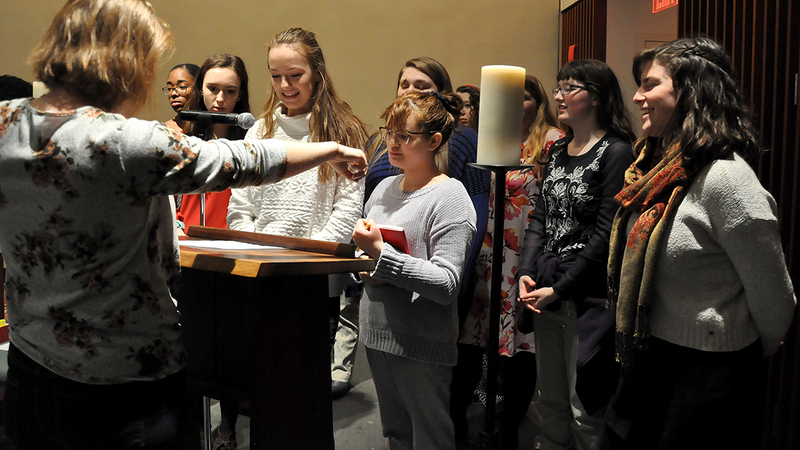 The 17 Episcopal delegates, who represent Curry at the gathering, are from places such as Venezuela and Puerto Rico, and from Tennessee to Washington state. They are diverse in age, culture, geography, race and experience. 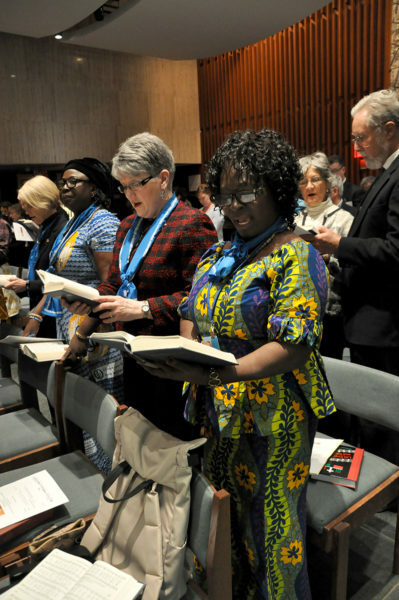 They are gathering with 20 women from 16 Anglican Communion provinces; the Mothers’ Union sent seven women from five provinces. The theme of this meeting centers on the challenges and opportunities in achieving gender equality and the empowerment of rural women and girls. Representatives of member states, UN entities, and ECOSOC-accredited nongovernmental organizations from all regions of the world, including the Anglican Communion and the Episcopal Church, are attending. ECOSOC stands for the UN’s Economic and Social Council. Curry submitted a statement to the UNCSW, based on General Convention. 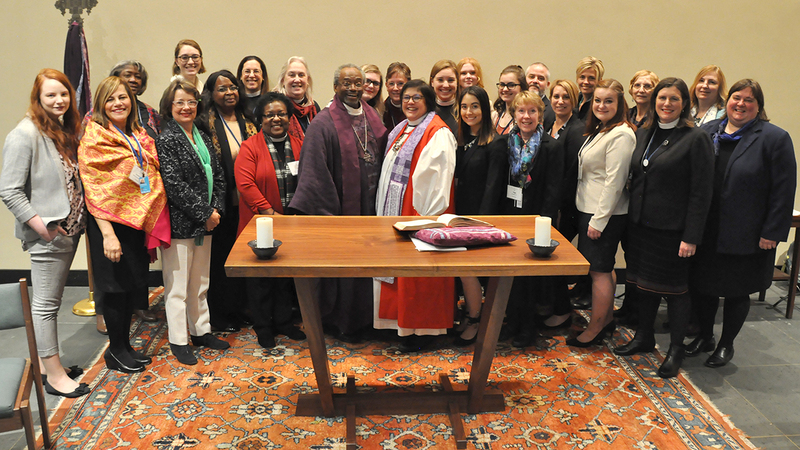 Episcopal delegates look to that statement and its priorities in shaping their advocacy as they share their own stories, reflections and concerns that further the cause. Many other submissions from around the world are here. Many, but not all, of the faith-based organizations’ statements, including Curry’s and that of the Anglican Consultative Council, can be directly accessed here. All delegates will settle on a final version of “agreed conclusions” (now in draft form here) by the end of the session or soon thereafter. If approved, the UN General Assembly expects member states to bring those priorities home to implement them in the following years. 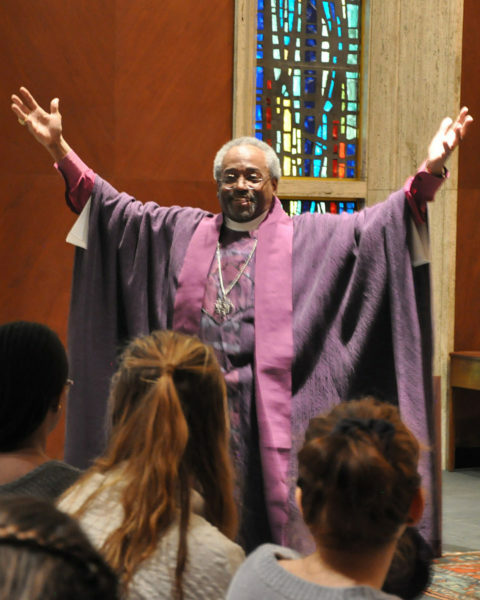 Why does Bishop Curry differentiate his message on violence? This is only one instance of many. I would much prefer the Bishop denounce ALL violence regardless of WHO the victim is, WHAT object (if any) is used to inflict it,or WHERE it occurs! I feel like Paul chastising Peter at Antioch but I want Bishop Curry to lead as if we are all in this together and stop pandering to earn grace from those who would segment us. (B.D. Howe) Bishop Curry was specifically addressing those gathered — mostly groups of women and girls from around the globe gathered for the United Nations 62nd Commission on the Status of Women. . . . The data demonstrates all of society thrives — enjoying greater peace and prosperity — when women and girl children are freed from gender based violence. Caring for the ‘least of these’ — the very old, the very young, and those with challenges of all kinds — is interconnected with supporting the status of women.